The last destination before leaving is the bar. Rum cocktail is the only heater inside of this place. But even glasses are made from ice. February. Rain is dropping to the window and thin water streams flowing down. The temperature is around ten degrees Celsius. The buds on the trees are swollen and ready to release the young leaves. Lawns become brighter and grassier. The usual change of the seasons has disappeared without a trace, and with that sense of anticipation and excitement of the long-awaited welcome of spring sunshine, warmth, nature waking up desappeared too. But the old habit to celebrate the seasons change haunted us, and therefore in search of the lost winter, we decided to look for it in other places in order to say goodbye. Quebec City is only eight hundred kilometers from Toronto, and after an eight-hour trip, we were in a completely different climate, culture and emotional state. Quebec is the city of a holiday. It is in the air. This time, a sense of celebration occurred at the entrance to the city with the first ice sculptures, colored lights, and a variety of Christmas decorations. The city is still in the Christmas decoration and looks like a huge fair. And, of course, snowdrifts, frost and entertainment, such as sledding, complement the feeling of winter. Now we are ready for the spring. 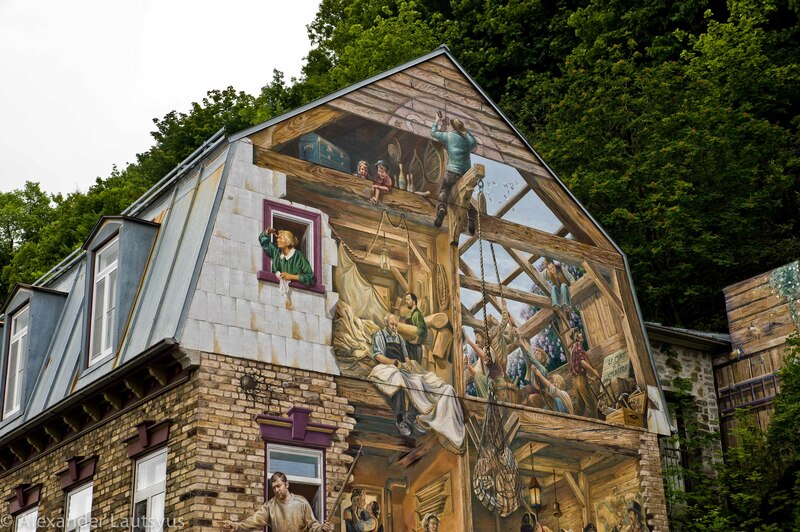 Quebec City – So Europe. So close. 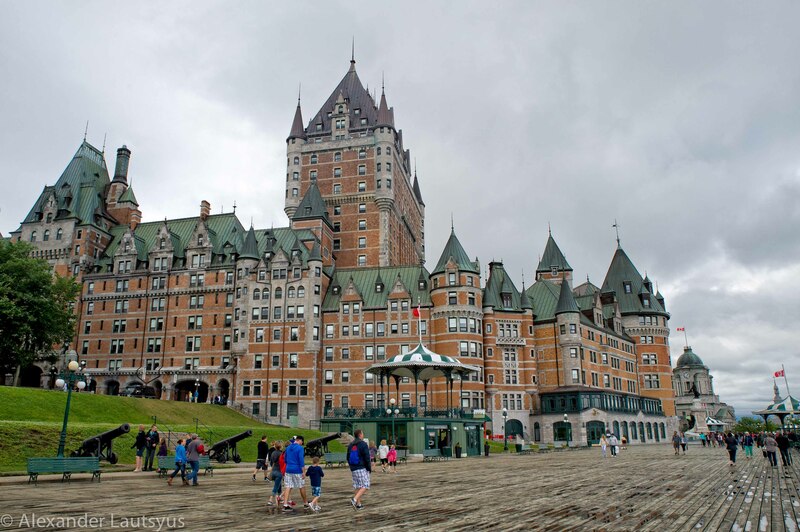 Quebec City – a city that seemed created for holidays. Everything looks elegant and fabulous. European architecture, countless sculptures and monuments, the house windows decorated with the flowers; the street performers and artists, lots of cafes and restaurants create a sense of festival. The small size of the city and the lack of hustle as in the most megacities, give to visitors the feeling of peace and calmness. However, despite its small size Quebec City filled with lots of amazing historical, cultural and sports facilities. Apparently, this is the basic requirements for a tourist town. There is not even a thought to move around on some public transportation because everything is within walking distance. Is that for fun, you can ride horses in harness, so use the Funiculair de Vieux to move from the lower to the upper town. The main pedestrian area and the most attractive place for the tourists, of course, the street Petit-Champlain, where plenty of the art galleries, boutiques, restaurants and cafes as well as it is a popular place for the street musicians and artists. And of course, the Terrace Dufferin, located in front of the Château Frontenac, with beautiful view of the St. Lawrence River, the Old Port and the lower town. However, there is little inconvenience. Even in the summer here on the mountain can be cool and windy, while in Montreal it will be sunny and warm. Firstly, the city is located on a very high ground above the St. Lawrence River. Secondly, it is more northerly, thus the difference in the weather. Nevertheless, all these inconveniences have no influence on the mood of the tourists. Just planning a trip to the beautiful City of Quebec, we must not forget a light jacket :-). Enjoy your trip! In the photo gallery you can read a brief description of some of the places captured on the photo. And also you can see perfectly organized Quebec City web-site.